If you’ve been in Geauga County for more than a few months, you’ve probably seen the big red trucks, or heard the name before. Tim Frank Septic Cleaning Company is one of the finest companies you can work with, and it’s obvious why they have had the staying power to serve their community for over 52 years! Tom Frank is the President of Tim Frank Septic Tank Cleaning Co., a business his parents purchased in 1966. The company they purchased consisted of a small tank truck and some customer records. Tim and Lori, along with their son, Tom, his wife, Carol, and their hard-working employees, have grown the business into a full service septic business that can meet all your septic tank and sewer & drain cleaning needs along with septic repairs and many other services. 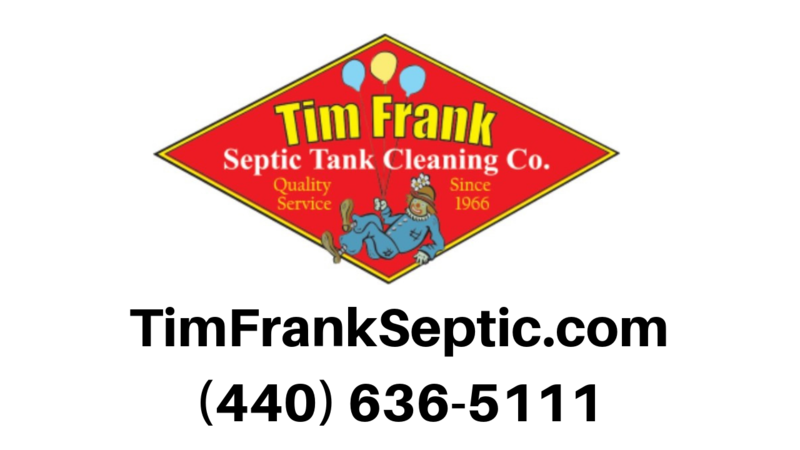 One little known fact about Tim Frank Septic is that they were the very first advertiser on Geauga News back when we got started, and so they hold a very special place in our hearts. We are thrilled to have them as the first business in our new Local Business Spotlight section. Call 440-636-5111 or 800-319-2847 today to schedule your appointment!